I was amazed the first time I made this bread at home. This recipe was given to my sister by her friend. I used all the healthy ingredients in the recipe and was wondering how this recipe turned out so well and does not taste like a whole wheat bread. A while ago I was watching one of the cooking shows dedicated to gluten free cooking and the chef was mentioning that when banana's are added in the end they keep the bread moist. Voila! that is how the banana bread stayed moist and tasted amazing. I was wondering if it was tasting so amazing with whole wheat flour it must taste out of the world with APF. 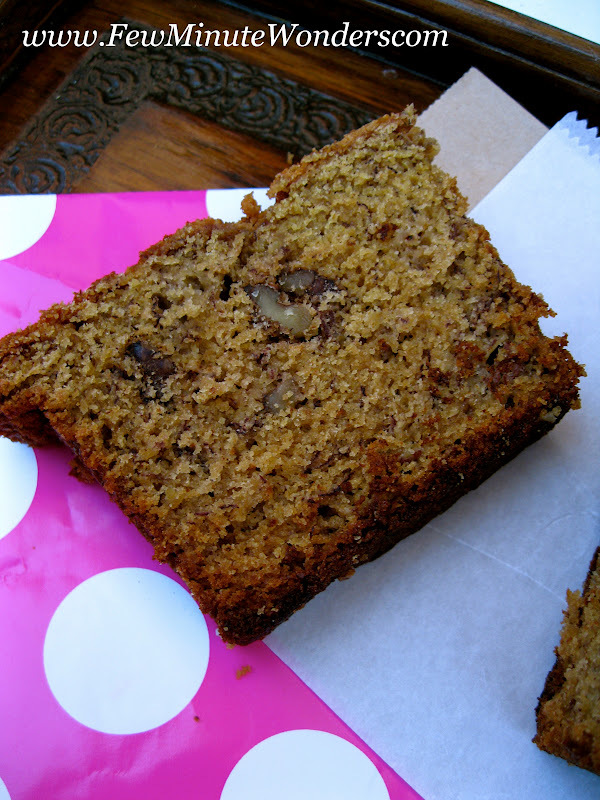 Here is the healthy version of the banana bread, believe me you will not be disappointed. Walnuts - 1/2 cup chopped and mixed in 1 tsp of whole wheat flour. Options - chocolate, cherries cut into half, raisins etc. 1. Set the oven to 350 degrees F. In a mixing bowl beat egg, oil, vanilla and sugar well. 2. Mix together flour, baking soda and powder together and add to the wet mix and allow it to come together. 3. Add the mushed banana's and mix gently. Add the walnuts and pour the batter into the loaf pan. Sprinkle 2 tsps of brown sugar evenly on the top (this adds a crunch on the top layer) and bake for an hour or until it passes the toothpick test. healthy n delicious bread, looks perfect n yummy.. Such beautiful texture, that too with whole wheat flour, awesome.. 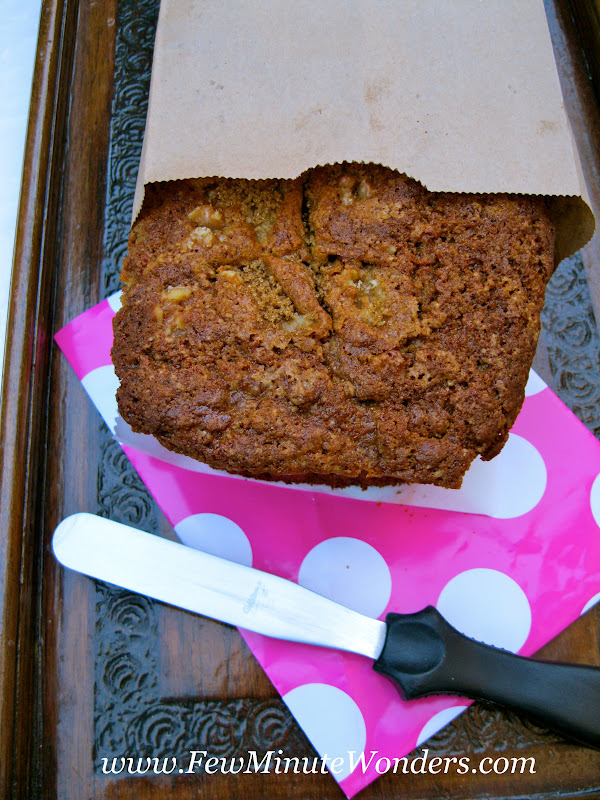 Delicious banana bread, they are our weakness. Very healthy bread,I love this a lot!! You need to add1/2 cup of oil , 2 eggs eggs for the bread. If you are using egg substitute then use 1/2 cup of the substitute. Thank you for the nice comments. Thank you for picking on my misalignments. I have fixed it. 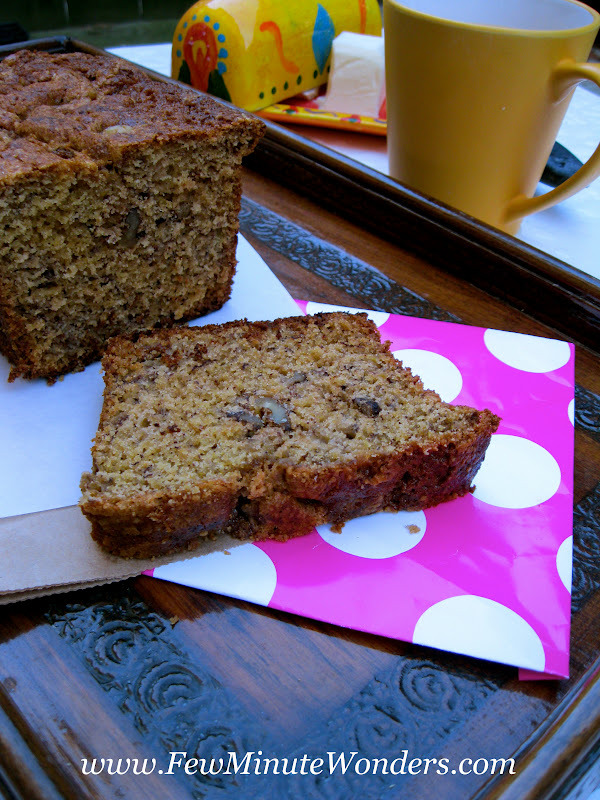 yummy banana bread!healthy and tasty!.....beautiful pics. Delicious banana bread,looks so soft n yummy. Yes you may use regular sugar. Don't forget to sprinkle some sugar on the top of the batter before baking. Have fun baking and let me know how it turned out. awesome pictures. This bread is really tasty.